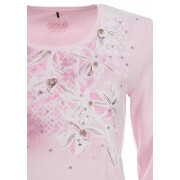 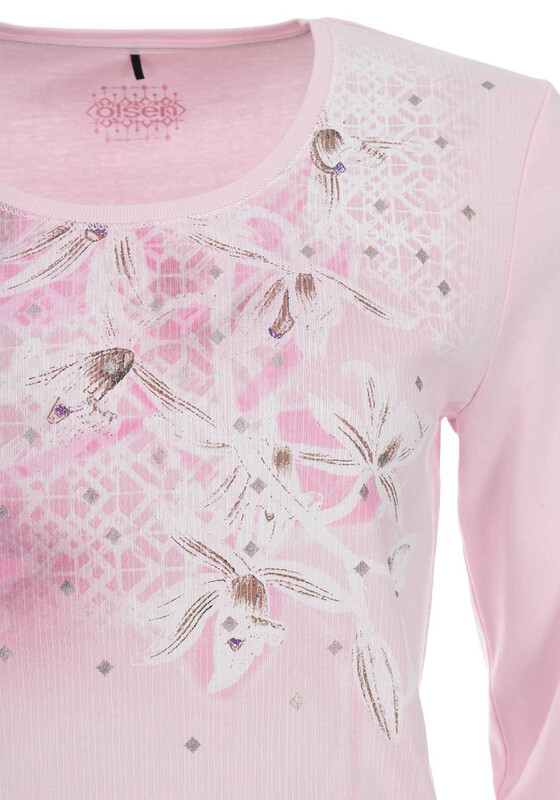 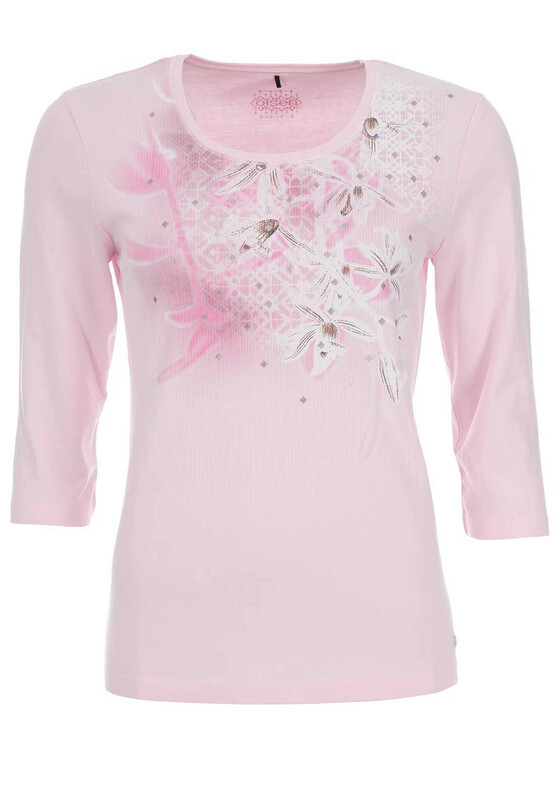 Show off your feminine side with this gorgeous pale pink top from Olsen which features a pretty floral print on the front along with metallic diamond patterns. 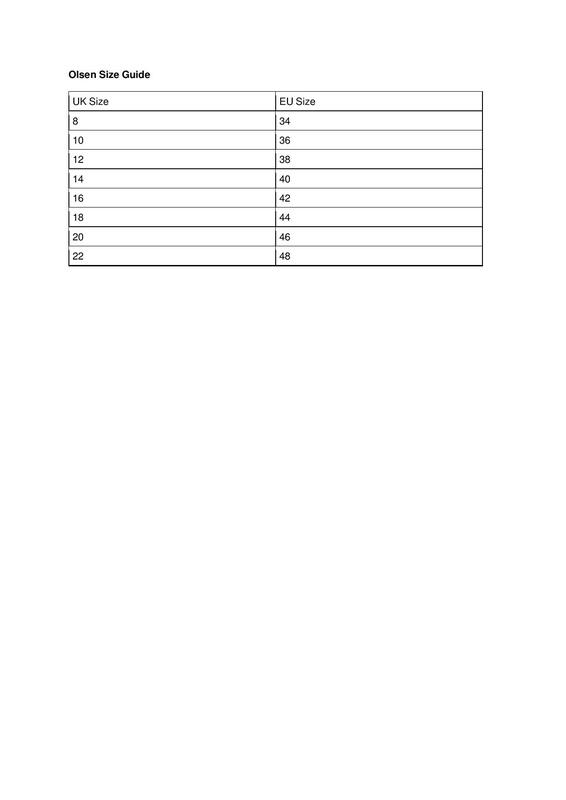 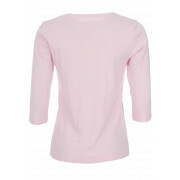 Made from comfortable cotton jersey fabric which will be soft against the skin. 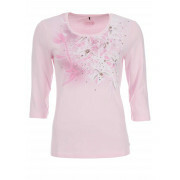 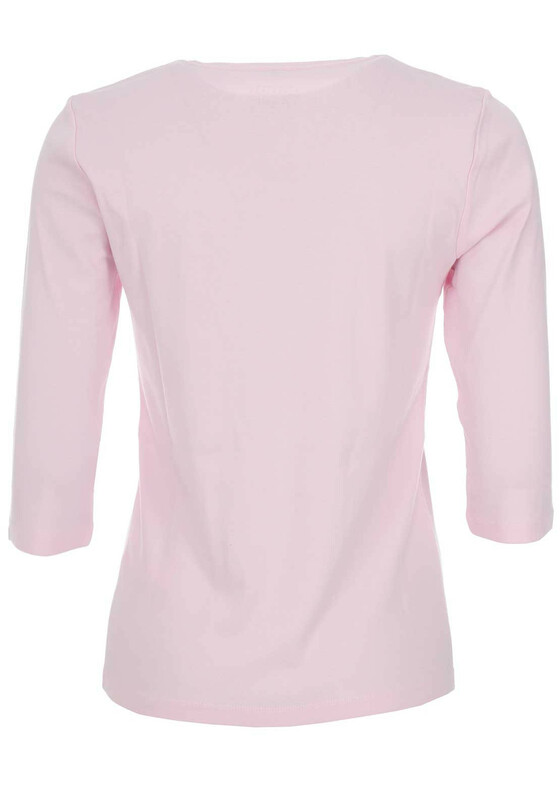 Designed with cropped sleeves and a fitted shape.